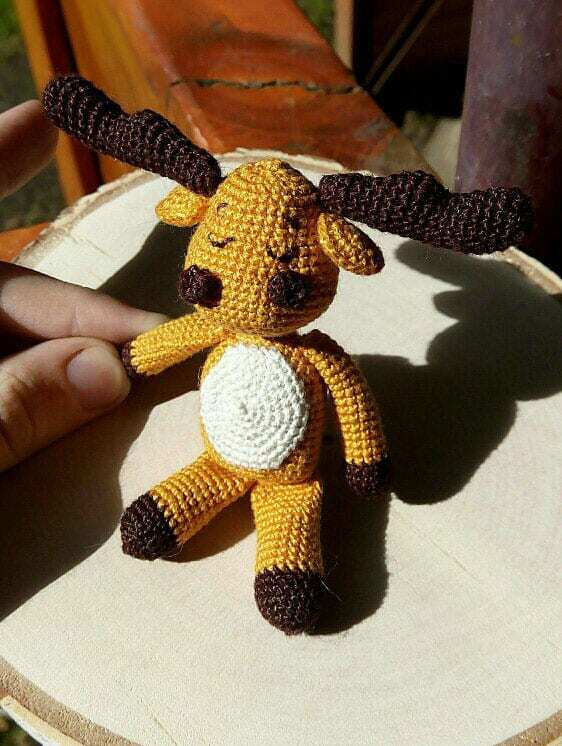 This funny amigurumi moose is created with thin mercerized cotton yarn and 0.9 mm crochet hook. So, it easily fits the palm. Fasten off, cut the yarn, leaving a long tail for sewing That’s the upper part of the head!!! Rnd 20: (dec) repeat 5 times. Fasten off, leave a long tail for sewing. 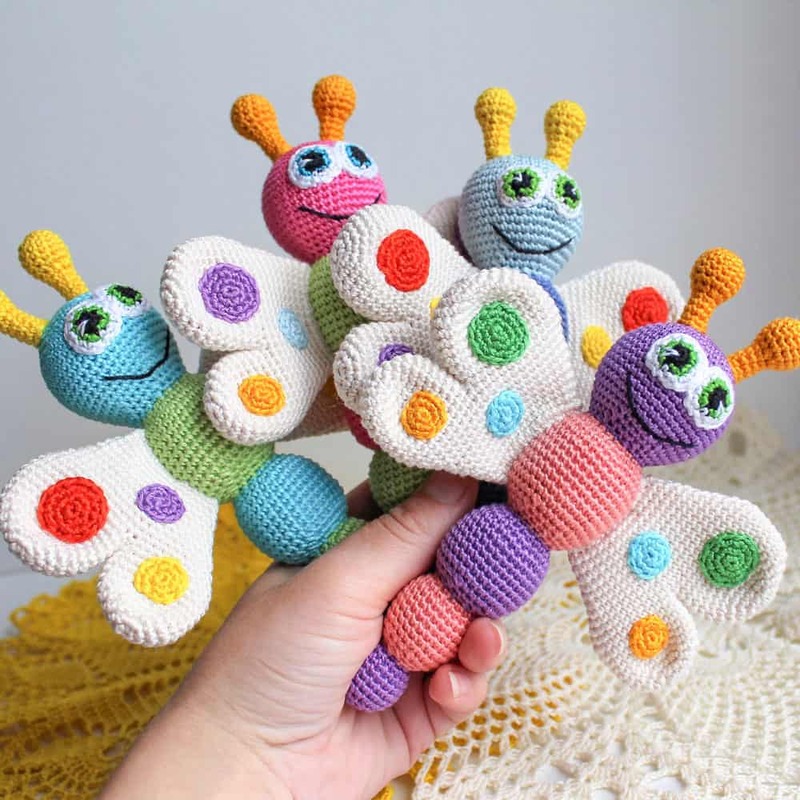 Crochet the second part with light-brown yarn using the same pattern. Don’t cut the yarn and sew or crochet light and dark parts together around to get one ear. 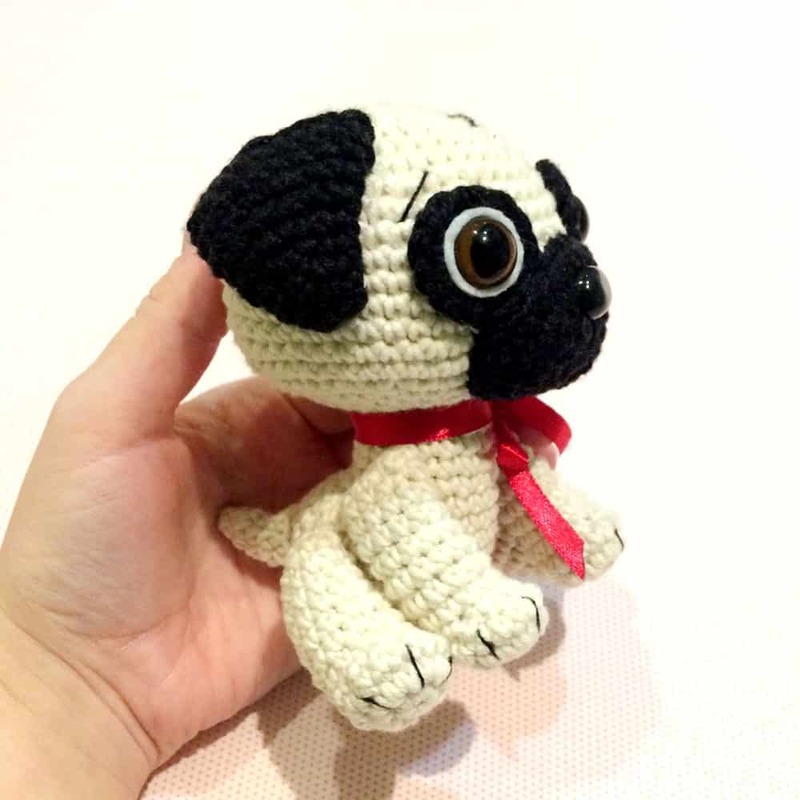 Crochet the second ear using the same pattern. Fasten off, cut the yarn leaving a long tail for sewing You get distinct nostrils with the wrong side up. Rnd 23: (dec) repeat 7 times. 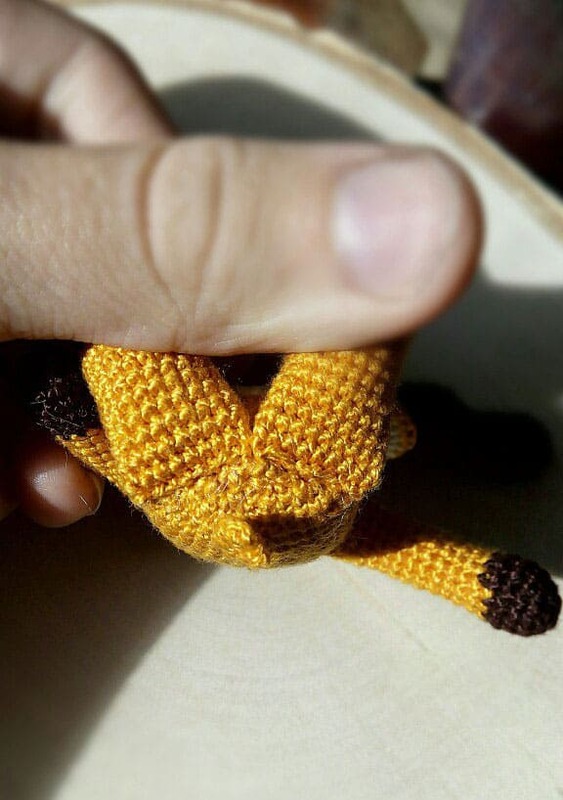 Fasten off, cut off the yarn and hide the tail inside the body. 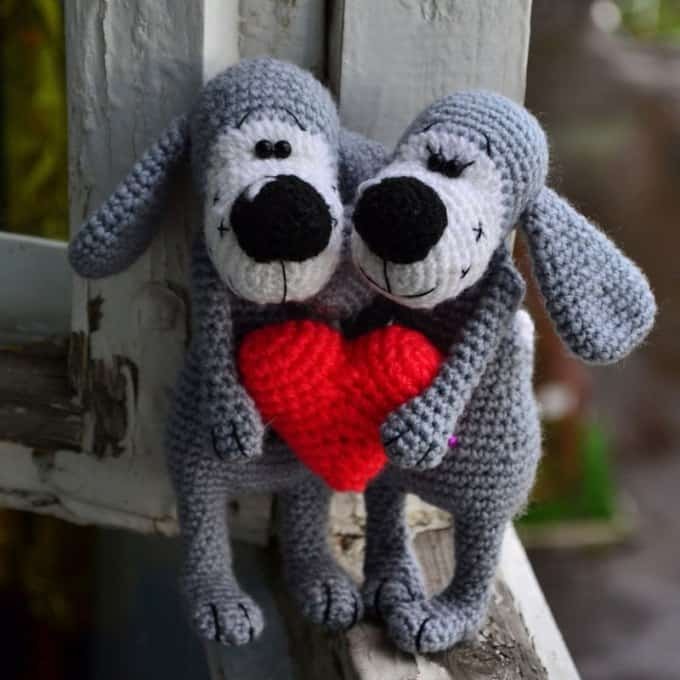 Crochet with white or beige yarn. Fasten off, leave a very long tail for sewing around. Change the colour to light-brown. 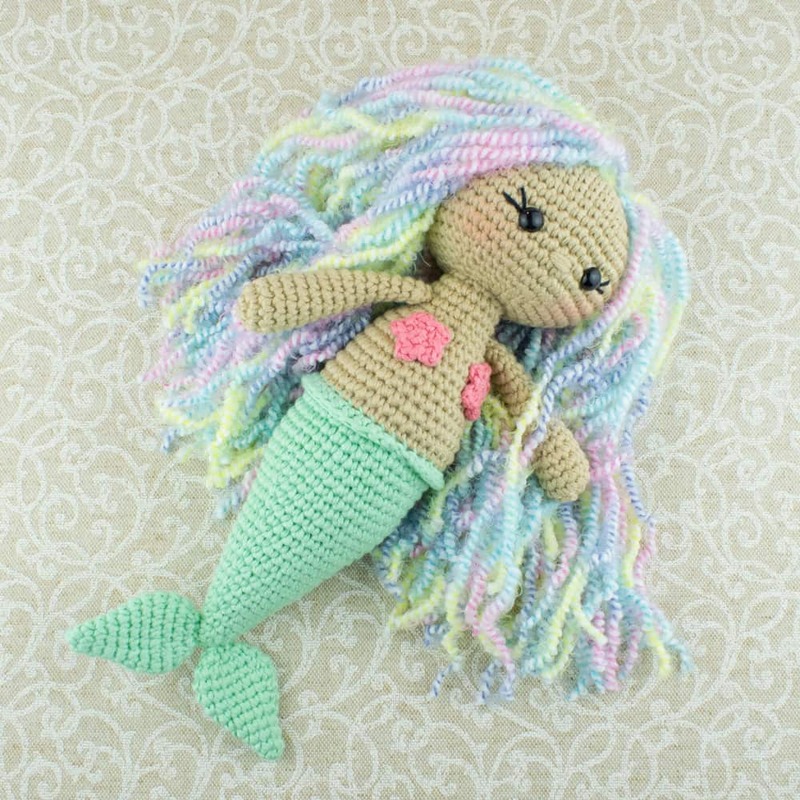 Continue crocheting to get the desired length and crochet the last round: sc in the next 4 st, sl st, sc in the next 4 sc, sl st.
Cut off the yarn and hide the tail. Make a fringe from scraps of dark-brown or green yarn if you like. 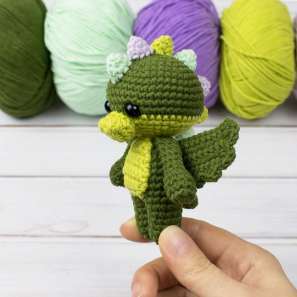 Don’t forget that the the place where you finished crocheting the head is its top. 1. Sew nostrils to the head at Rounds 11-13 counting from the bottom. 2. Sew ears to the head at Rounds 18-19 counting from the bottom. 3. Sew horns to the head at Rounds 20-21 counting from the bottom. 4. 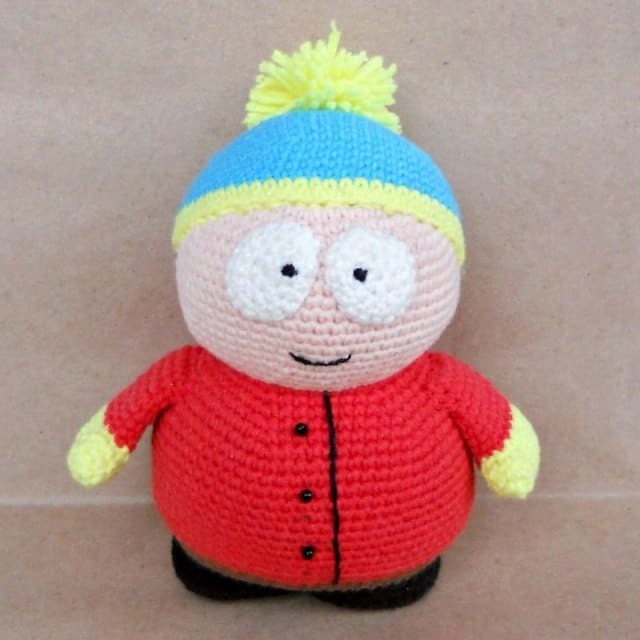 Embroider eyes and eyebrows on the head. 5. Sew the belly to the body putting it with corners up. 6. Sew fore legs to the body at Rounds 4-5 counting from the top. 7. Sew hind legs perpendicular to the body. The right leg – from the center of the last ring (the last round of the body) go right and down when sewing. 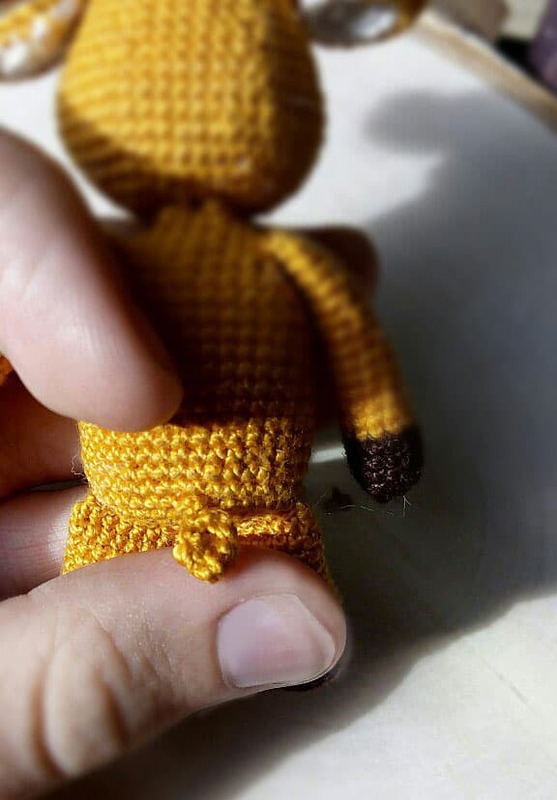 The left leg – from the center of the last ring (the last round of the body) go left and down when sewing. 8. Sew the tail to the body at Rounds 18-19 counting from the top. 9. Sew the head to the body so that the first 6 sc of the head are a bit to the front of the body, visible and are not sewn to the body. 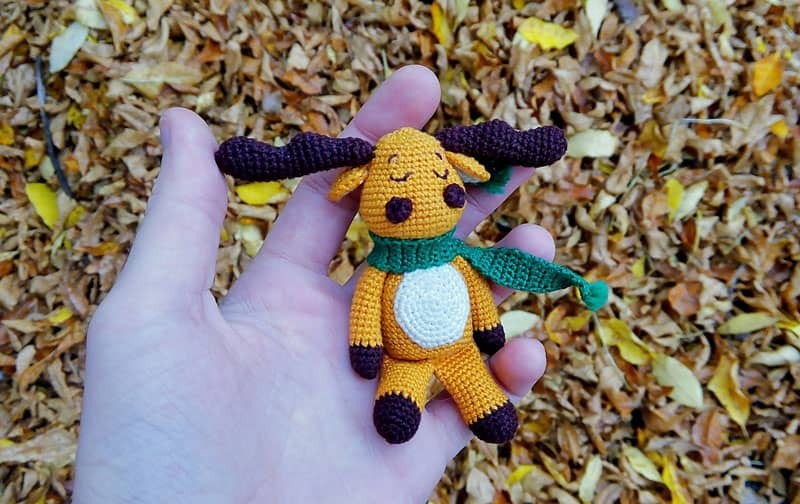 Your amigurumi moose is done! Congrats!